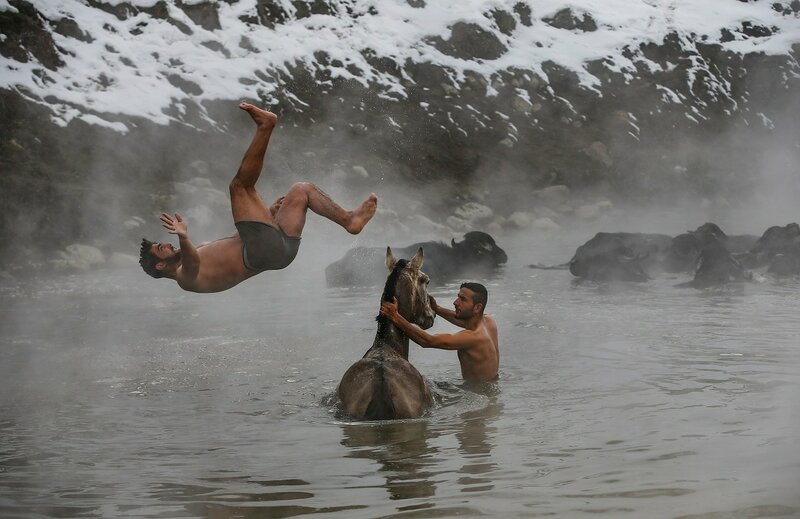 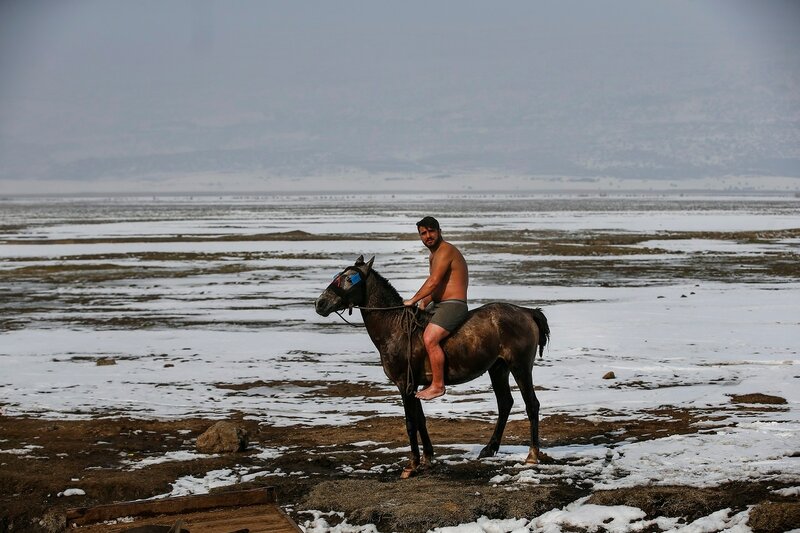 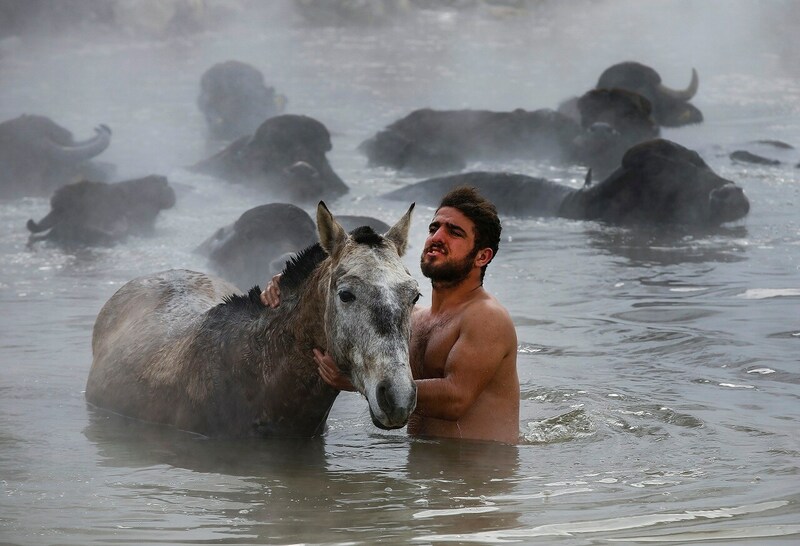 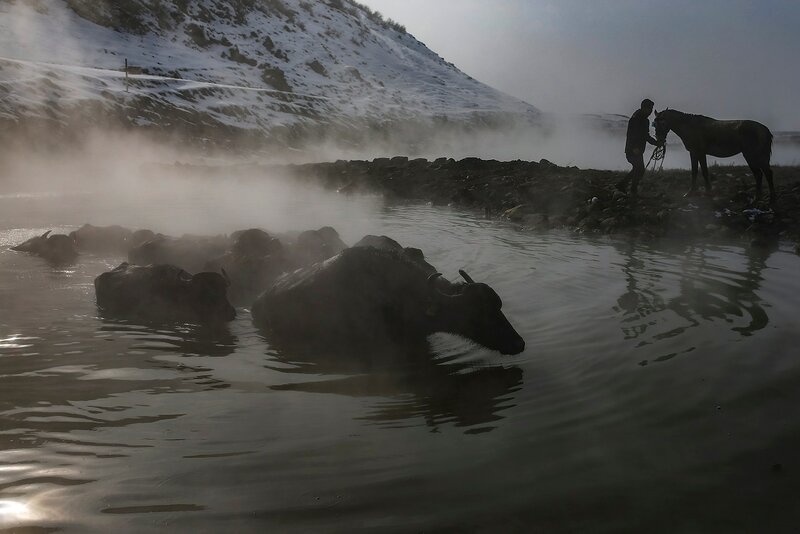 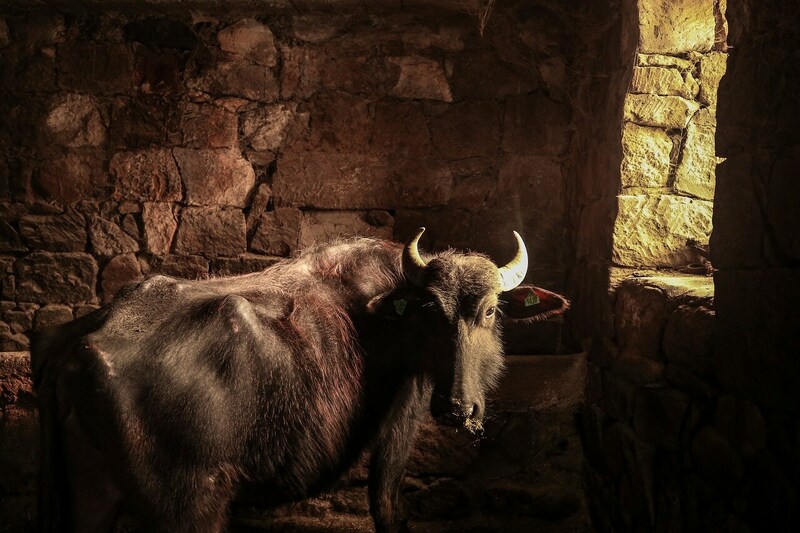 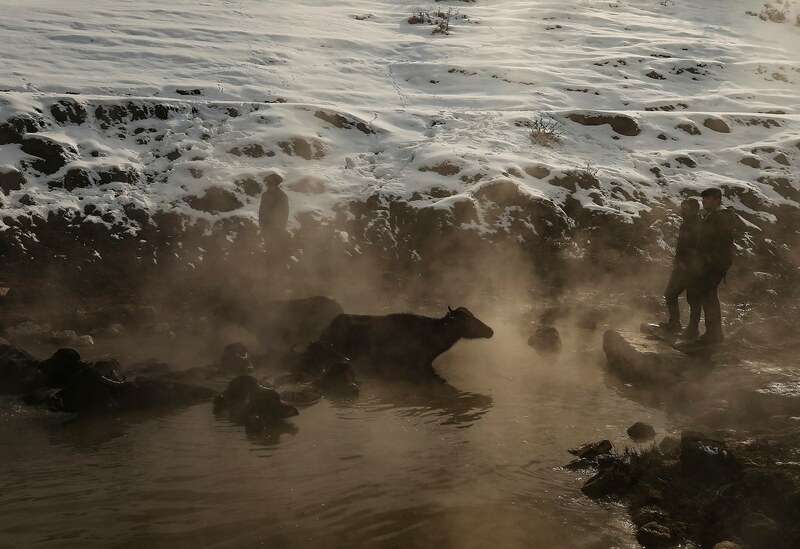 For the buffaloes in eastern Turkey, the hot springs in the mountainous Bitlis province are a welcome refuge from the freezing wintry weather. 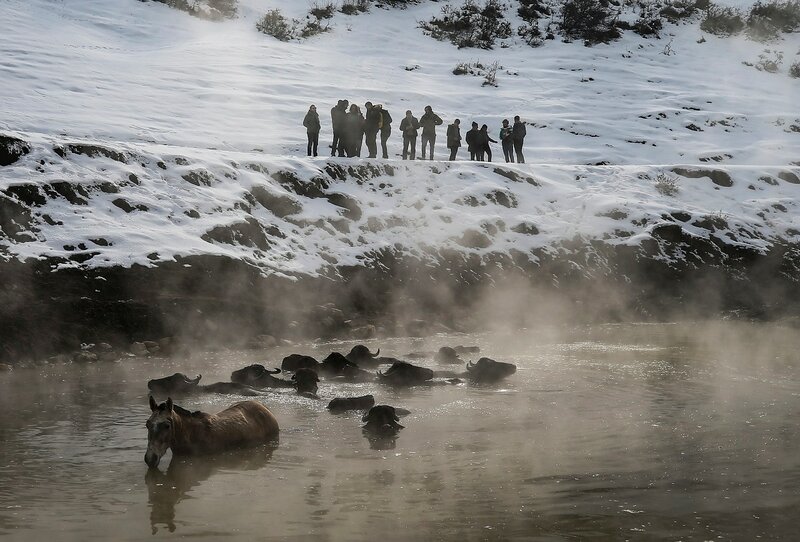 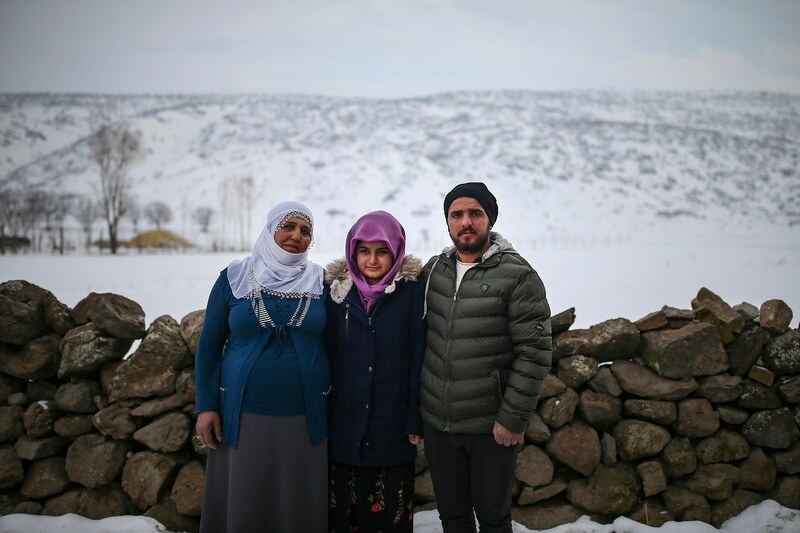 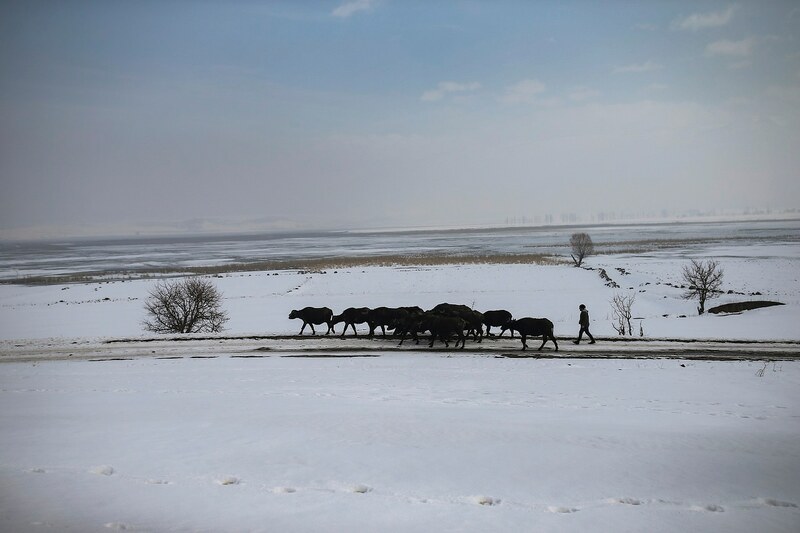 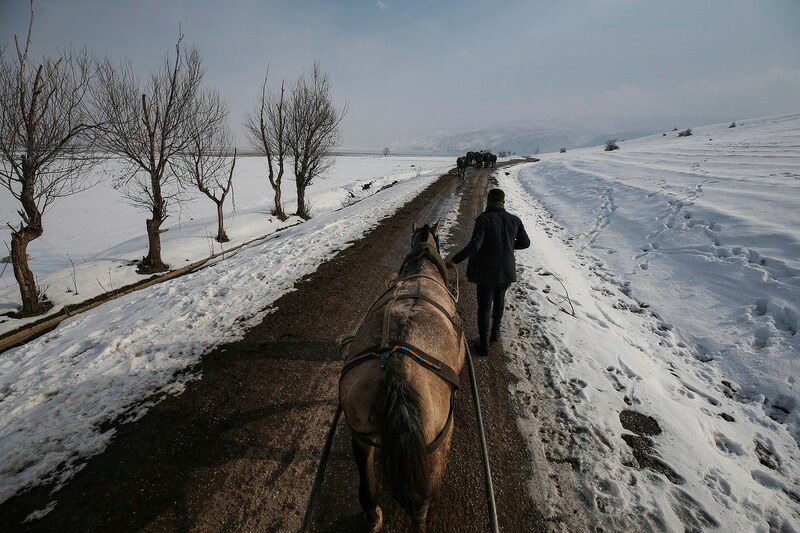 Residents in the tiny village of Budakli walk hundreds of buffaloes up snow-covered roads to the geothermal springs near the dormant Nemrut volcano in the winter. 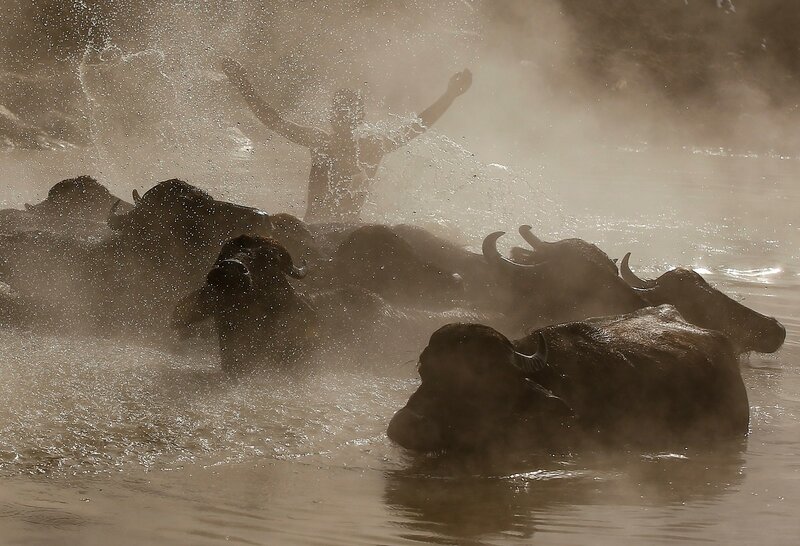 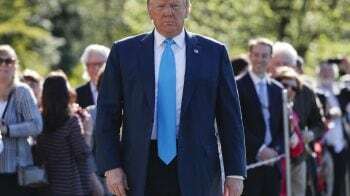 The animals already know the way and spend hours in the steamy 40 degrees Celsius (104 Fahrenheit) waters — so much so that the young men herding them struggle to get the massive animals out of the water and go home. 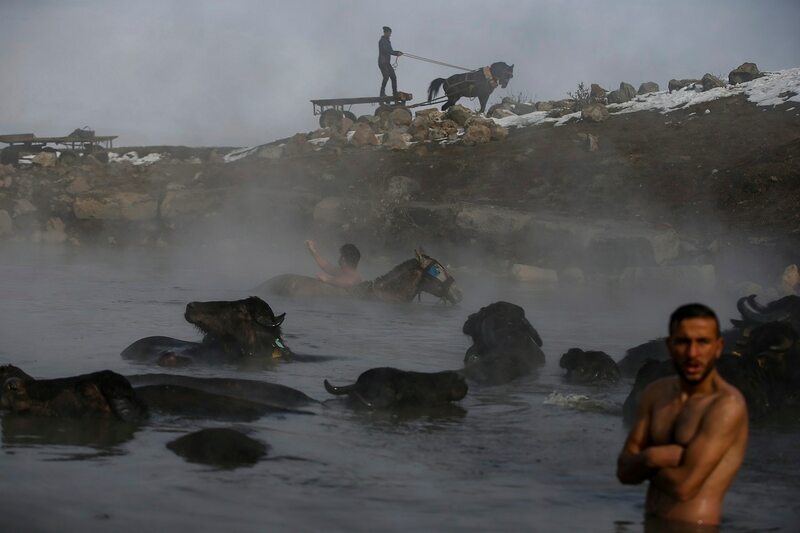 The hot springs help keep the animals clean as they go through the winter. 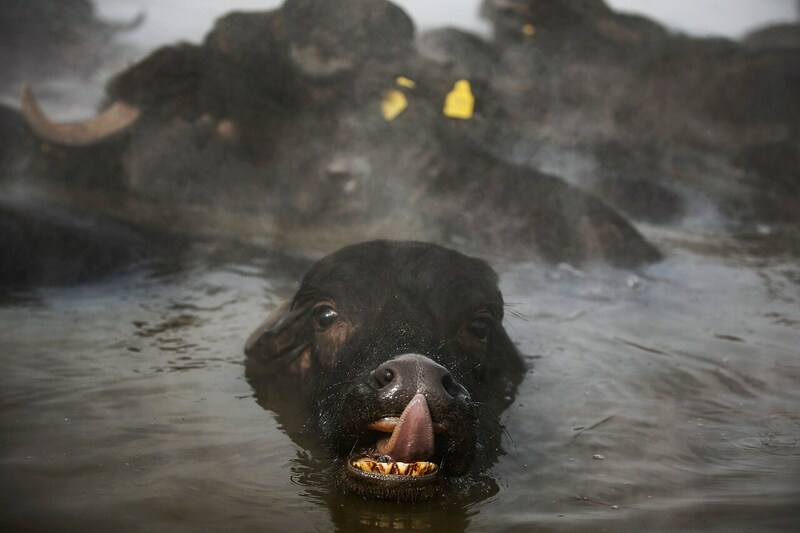 In the summer, the buffaloes swim in the cool waters of the plains.